Ok I have a question, now a days with all these codes be deprecated and new codes coming out. Who keeps up to date and who likes it their way? I just want to start a good conversation and some examples if you area a coder. As far as HTML is concerned, I still use and write HTML4 and will continue to do so because it is not depreciating at all. Oh sure HTML5 is doing things just a little different, but it is not replacing anything in HTML4. In fact HTML5 is still beta. Everything in HTML4 still works. I see no outstanding advantages in HTML5 and since HTML4 is very much alive and recognized in all browsers and HTML5 does not appear to be taking over or offer anything noticeably better than 4 I will continue to ignore 5 and use 4. If 5 makes more sense writing it that's great, but if you understand 4 use it because it will always work and will for a very long time. HTML 5 will die the same time 4 does someday. HTML4 can not withstand that. Also HTML5 is great for webkit driven devices, it makes great Mobile sites by becoming easier to write it for. Also HTML5 is suppose to take over Flash driven sites as well, since the capabilities are outstanding. That's just a new code, its not replacing anything in 4. That is my point. Easier to write doesn't make it better, if you understand 4 it doesn't matter. Just to name a few. I used to center everything with html4 not anymore though. Applet got replaced with the object tag. The rest mainly you use CSS to figure out. All still work, they have not depreciated. The other ones in the list I don't know for sure I haven't used them, it wouldn't surprise me if they still work too. My point is HTML 4 has not been replaced and it doesn't look like it ever will be. HTML 5 in a nutshell is simply another extension of 4 in my humble opinion. Call it HTML 5 or call it what you want, HTML 4 and 5 are both going to depreciate at the same time, over time. I'm all for better ways of doing things and I think HTML5 is about that, but it simply is not going to replace HTML4, what its going to do and does is add functionality and ease of use to already existing HTML4. Its all HTML, just calling it 5 gives it a distinction that its new HTML code, they all work together because they are the same. All the browsers in the world will always continue to support HTML4 because its not being replaced, HTML is introducing more code, and they are calling HTML5. Basically like you said, HTML5 is giving an ease of access really. Though discussing HTML5 and 4 though errors do occur, is strange, when 4 is really not old school lol. I also have come to learn that people stick to using tables to style their websites. One person on the support keeps giving out table codes like its cool. Well you're right in saying HTML5 does not replace HTML4; and it was never meant to. It is simply an addition. Much like CSS3, CSS3 properties extend the library of already existing properties, in the same way HTML5 extends HTML4. It is not a new language and not meant to replace anything. More tags are added to provide easier, more efficient ways of doing things which are seen as common practise; to ease the changing of development needs as the internet evolves. HTML4 still exists so does HTML1. 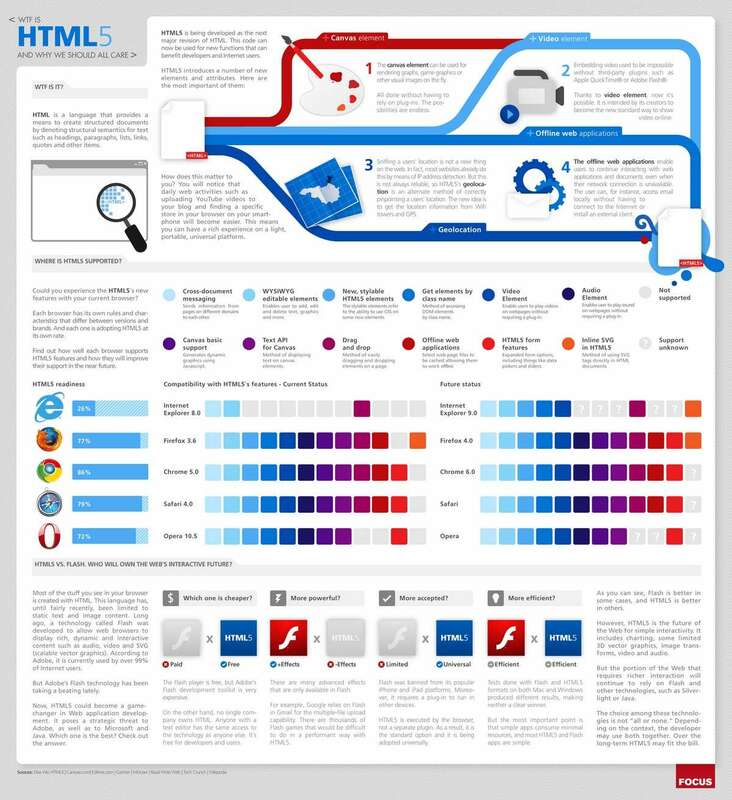 A lot of HTML1 is still very much alive too, many of the tags you see originated from it, but a lot of HTML1 is also dead and gone and will be ignored by browsers. You could write an entire website using only tags from HTML1, but you'd have to do a lot of repetitive work and will soon realise, HTML2 offers easier options ... and so on up the line. But there is no such thing as "writing in HTML5", when you write HTML4, you are also writing HTML3, 2 and 1 at the same time. Making the jump to 5 is nothing. If you find a tag in HTML5 which you find useful and you use it, doesn't mean you've moved on and neglected HTML4 never to turn back... it still remains. The stability depends on the browser. I imagine you mean "support" ? Mr.EasyBB wrote: HTML4 can not withstand that. WebKit is the Chrome/Safari rendering engine. If its an old version, then it makes no differences. As explained above, if it was written before HTML5, then it won't include HTML5. No, but often newly provided native browser methods and options are much more efficient. Runawayhorses wrote: All still work, they have not depreciated. Deprecated does not mean they will no longer work. Deprecated means they are no longer supported by the developers, will never be improved on and a much better alternative is available, additionally may be removed in the future. Deprecation, is to give developers a heads up to the potential removal of an item/feature - due to whatever reason most likely a more efficient, faster, secure and easier option has been created. The browser developers choose whether or not they want to remove deprecated tags. Mozilla might begin making a new Firefox browser tomorrow and say "Oh my, all these old HTML4 tags are taking way too much room, its time to go" and so their next version will not support them - they're old versions will however. Which is why keeping up with the times is very important, and deprecated items shouldn't be used. As they likely will disappear in the future. Runawayhorses wrote: I'm all for better ways of doing things and I think HTML5 is about that, but it simply is not going to replace HTML4, what its going to do and does is add functionality and ease of use to already existing HTML4. Its all HTML, just calling it 5 gives it a distinction that its new HTML code, they all work together because they are the same. All the browsers in the world will always continue to support HTML4 because its not being replaced, HTML is introducing more code, and they are calling HTML5. Bang on the money, nail on the head, etc etc. The difference between <input type="text" > and <input type="text"/> isn't HTML4 and 5. That's more displaying the difference between standard HTML (<input type="text" >) and well-formed HTML, known as XHTML (<input type="text"/>). Tables should be used for tables They actually take longer to render, which is why most phpbb2 forums appear sluggish. The stability, yes I mean supportive stability to updated browsers, and I know HTML5 does not take over HTML4. Though HTML5 is a take over process, they are planning to use the HTML5 syntax instead of Flash since it is more stabile and most users will have HTML and not always have flash. Also about tables, yes you are correct. I have noticed after switching to punbb that phpbb2 was sluggish in the sense. As well as such a blocked feeling it's not funny, though I up keep phpbb2 for the purpose of this website. Though if you know coding you can fix alot of the internal issues of the scripting in templates. Another thing is HTML5 is still young of course, and yes we still write in HTML format. I use HTML5 coding a lot due to better page weight. Just the same as CSS weights. Then on to the webkit, webkit is also mobile coding. HTML5 was created for in mind of mobile and actually has a lot of sustainability compared to writing html4 tags and trying to do this or that, when HTML5 tags are more simple. Improved end user experience: Transitions, graphics, motion & support for media all help make the app experience intuitive and rich. In many instances, the mobile app replicates the native app experience. Device Side Processing: Data caching mechanism allows applications to run even when the Internet connection is lost, so media, data and other typical interactions are not lost. Decreased cost/increased efficiency: Allows for centralization to a single standardized platform that is associated with rapid deployment ability. For example, using HTML5, apps developed for iPhone can be easily deployed to Android and Windows phone platforms. Changes do not require approval processes in order to be distributed, and as a result, content can change on the fly. Organic search optimization: Leverages organic search optimization elements such as Meta tags, content positioning, etc. Since the app is web based, it’s indexed by search engines, which means it will show up in a web search. Analytics: Support for visitors and more importantly, for behavior tracking, can be included in the app, which allows for granular level analysis. You can look at things like: what is working, what isn’t, what part of an app is most popular versus what’s being ignored and where users are spending the greatest amount of time. Faster page loading: Uses less code than its native counterparts. This skinnier code allows for lighter applications and faster page loading. Yes, a lot of mobile operating software use WebKit in their browsers. So yes in a sense HTML5 is good for mobile sites, since you can safely know a lot of mobiles will support it. Overall HTML5 tags were created for good reasons, many of which you included in your post. Its the same reasons why we are now on HTML5, and not still HTML1... things are improved and made better. Who's they? Haha ---HUH? lol I forget what I wrote. Everything you said makes perfect sense to me LG, I think we're pretty much in agreement and on the same page. I know for a fact you are WAY more knowledgeable about coding than I am, so if I'm ever wrong about coding and you correct me I've just learned something new, I place way more value on your knowledge of coding than I do my own. Nice to see you its been awhile..